Renaissance foliage is fun to carve in wax. When I made these pieces I was thinking about frames and settings. In the first piece the settings disappear into the design, becoming flowers. The frame is modest. Here the frame and setting are given prominence. The foliage has been subsumed into the frame. The setting has the swoops and curves beloved of renaissance goldsmiths. 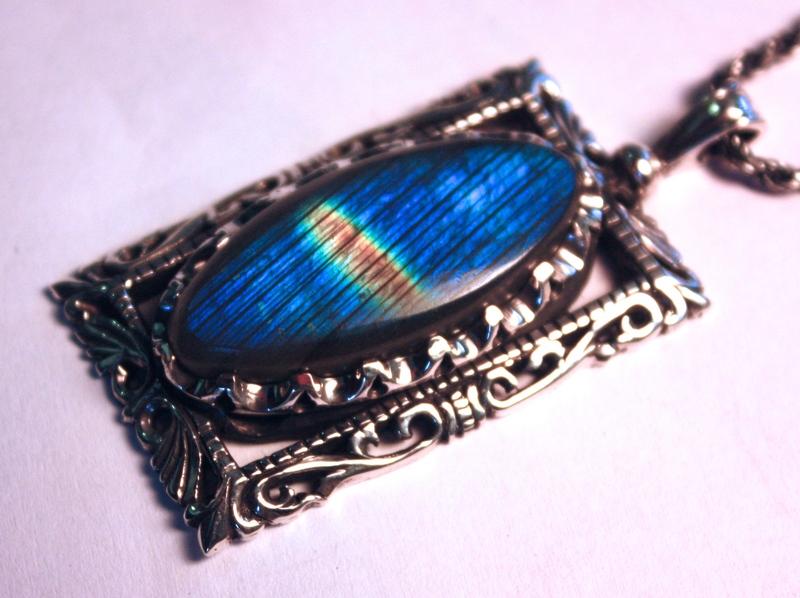 The labradorite really lights up when the light hits it at a certain angle. 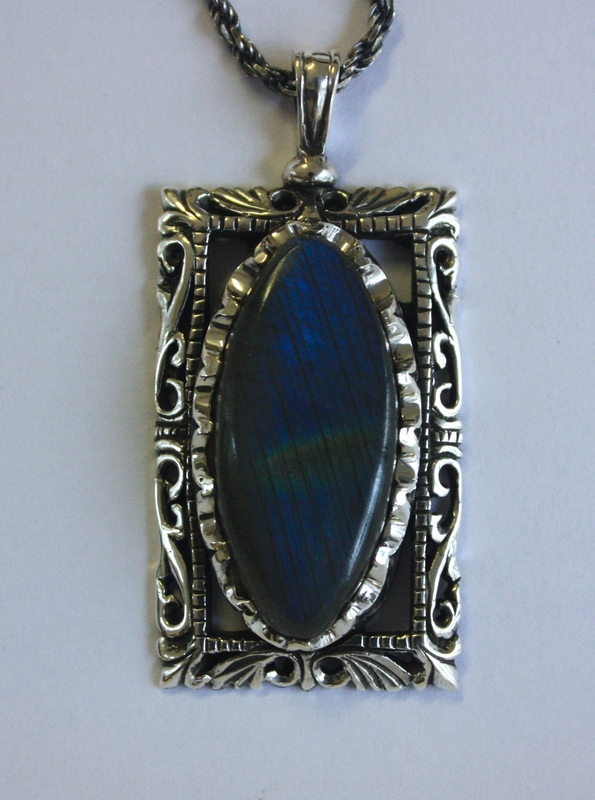 I love the movement in the first pendant. The settings are really clever, flower like. The other two also show a true flair, the bezels are beautiful. In this time of ‘simplicity of design’. Its is a shame this type of work is not more fully appreciated, I appreciate and admire the complexity of it. The thought and attention to detail is inspirational. 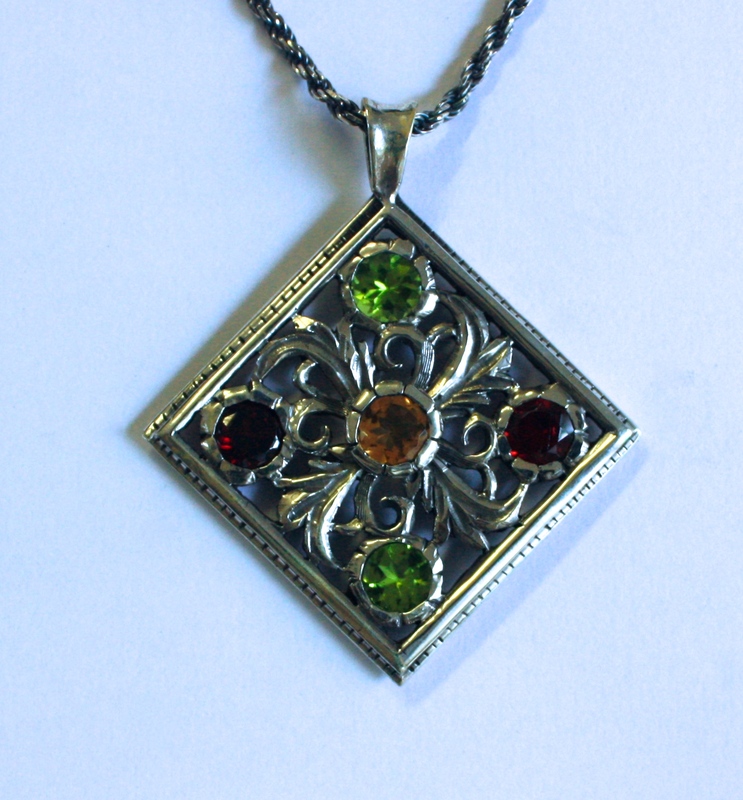 Wonderful work showing great symmetry and sympathy, combining the elegance of the design with the stones. I aspire to be able to create as you have, I must have another go with wax. Smashing to see, thank you for sharing. Thanks Stuie! As I said, wax is fun – and it’s a forgiving medium: it’s all about removal of the material, and if you remove too much, you can melt a new blob over the mistake and start again. The main thing seems to be to have a clear idea of where you’re going.